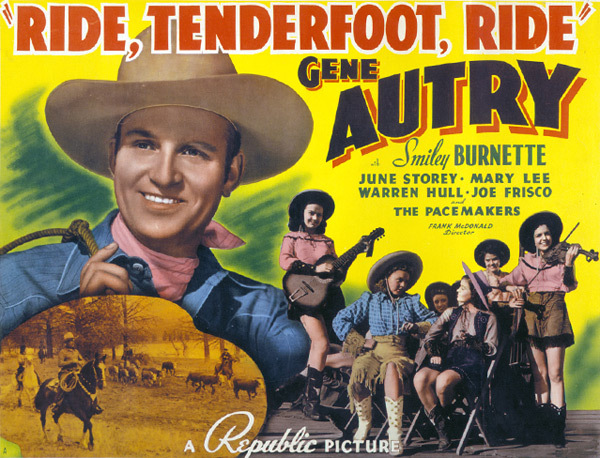 Gene Autry inherits the Belmont Packing Company and assumes active management, with his pal Frog Millhouse, even though he has no interest in an "office job." Meanwhile, rival company Randolph Packing plots to force Gene to sell so that it may take over valuable distribution contracts. 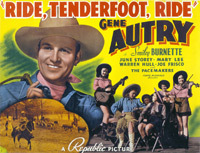 Owner Ann Randolph invites Gene to her house for a party and convinces him to sell, but Ann's younger sister Patsy, who earlier posed as Gene's wife, learns that Gene is being duped and warns him. When Gene finds out that Randolph will fire hundreds of Belmont employees, he retrieves the sales contract and runs the company in open competition to Randolph. Ann uses her womanly wiles to take business from Gene, which he tries to recover by using old-time rally methods, including parades and bands. Things escalate when Donald Gregory, unscrupulous manager of Randolph, sabotages Belmont Packing by stampeding Gene's cattle and flooding their grazing valley. Soon Gene and Frog expose this plot, indicting Gregory and clearing Ann of all blame.